Jay is a Seattle native (which is rare to find these days!) and has lived here his entire life. Currently, he and his wife Adrien, daughters Alexis and Alyssa, and their dogs Paxton and Pogo live on Mercer Island. He knows King County like the back of his hand, and when Relocation people work with Jay, they tend to get a tour guide because of living here his entire life! Jay's been selling residential real estate since 1994. (He worked for Scott Paper Company in sales immediately before then). Jay consistently is ranked in the top 1%-3% in the industry in terms of production and has earned the coveted CRS (Certified Residential Specialist) designation held by only 4% of agents in the industry. In addition to this, he has been awarded with the FIVE STAR: Best in Client Satisfaction award through Seattle Magazine every year since 2005. This is based on a survey of recent homebuyers in the Seattle area, Seattle Magazine subscribers, and 350 mortgage and title company offices. 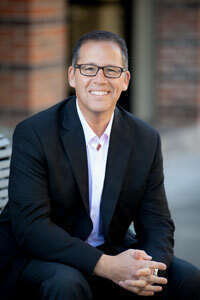 He was also awarded BEST OF MERCER ISLAND (one of the top three real estate agents on the island) for 2010 and 2011. This was based on a survey through the Mercer Island Reporter newspaper. As a certified ePro, Jay is also very reliant on technology and his clients love this fact. He's reachable by phone/e-mail/text through his iPhone or email through his iPad. When you have a chance, you should check out his website! As a Seniors Real Estate Specialist (SRES), Jay also enjoys meeting the unique needs of seniors ready to transition. Purchasing a home can be very difficult -- especially if you don't know what to look for or what steps to follow. Let me help guide you through the home buyer's maze! If I can be of further assistance please do not hesitate to call or e-mail me. I will organize, expedite, and get documents to the appropriate places for you to save time. Homes that don't meet your specific needs are removed. When you find the right home to buy, I will guide you through the negotiation process, the legal process, and the details that follow. Selling a home needn't be stressful, if you know what to do and what steps to follow. Let me help guide you through the home selling process! If I can be of further assistance please do not hesitate to call or e-mail me. One of the most important steps in selling your home is to accurately determine a price to sell it at. I will spend countless hours preparing a Competitive Market Analysis; analyzing past sales, current listings, and homes that are sold but have not closed.